The girl in the photograph has been missing for five years. Neither her body nor the secret documents she was carrying have ever been found. Now, post-war England's economic recovery depends on finding her and getting the papers back. But the two young Brits working undercover for the ministry know only that her name was Jane Finn, and the only photo of her is in the hands of her rich American cousin. They don't know yet about a mysterious and ruthless man called "Mr. Brown," or the beautiful but sinister older woman who knows all about Jane Finn...and therefore must die. Public Domain (P)1997 Blackstone Audio, Inc. 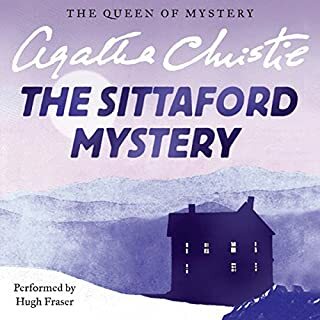 The story itself isn't as captivating as other novels by Agatha Christie. I would even go as far as to say that the end is quite obvious even - something one definitely isn't used to. Also, I was not quite happy with Nadia May's performance as I was somewhat annoyed by her voice (this is certainly a taste issue - you should listen closely to the preview) and I think she could have put more effort into intonation and modulation. Still. 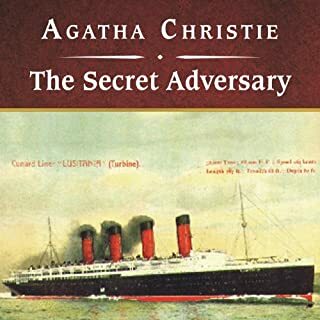 The Secret adversary is entertaining and lives of its funny parts, but the obvious story and the IMHO sub-par narrating performance would make me recommend this only for people interested in going through all of Christies work. Agatha Christie strikes again! 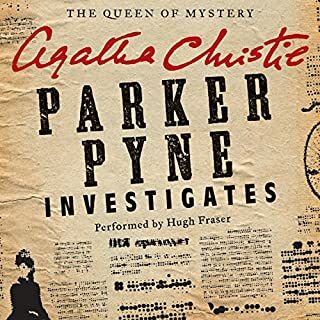 This is a mystery involving secret treaty papers, two young people who accidentally become detectives, a case of amnesia, and a shadowy underworld mastermind. Narrator does am admirable job with a challenging cast of characters and accents. Intrigue, love, amnesia! First of the Tommy And Tuppence series. Quaint, but still holds up. 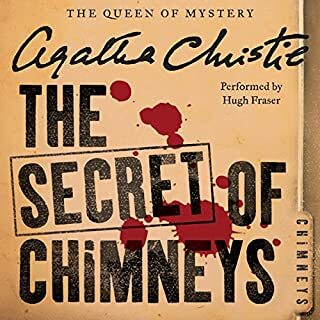 As an avid Agatha Christie fan growing up, I had read the print version of this book many years ago. Still I wanted to hear it again now. 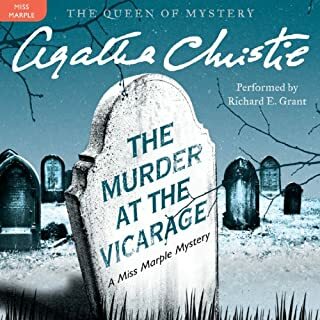 While the story, language and nuances are dated now, the story is still very intriguing and is Agatha Christie at her very best. The narration was spot on that made me happy to relive the story. Tired of Hercule Poirot or Jane Marples? Here's the first of a delightful series of the Tommy and Tuppence series. New to the sleuthing world, the "Young Adventurers' Club" certainly seems to do just that - take on a world-case criminal! P.S. : I know none us can ever be tired of Poirot or Jane Marples mysteries. Alas, here is another series to enjoy. 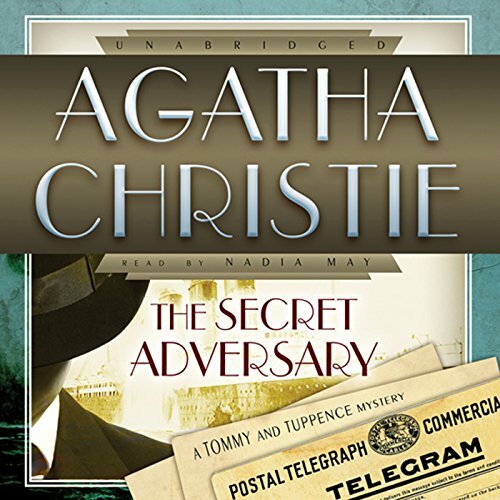 The Tommy and Tuppence books are some of my favorite Agatha Christie's ever. They are intelligent, funny, and the couple is very sweet. The reader starts out a little rough with the exits, but she gets back into the swing of it quickly. Highly recommended!! great job all the way round! This story surprised me. It's far faster paced than other Agatha Christie novels & all the characters are delightful. Great performance by the narrator. It’s a decent spy mystery, but definitely not my favorite Christie book. 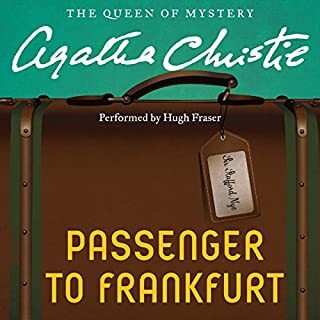 May does a decent enough narration and her voice fits this story where Fraser or Suchet wouldn’t. We listened to this recording during a recent trip. It was masterfully written and well read! Cute characters, a fun plot, and an unexpected resolution. I had a really fun time listening to this at work. If you could sum up The Secret Adversary in three words, what would they be? Tuppence, even although the character was supposed to be young lady with limited exposure to the outside world (clergyman's daughter} her portrayal was very believable. Which character – as performed by Nadia May – was your favourite? enjoyed listening to it again and I am sure will again. Nadia May used her voice very effectively for the female characters and was able to lower it enough for the male parts not to be distracting.